Damon Keen has been editing the consistently impressive New Zealand comic anthology Faction for the past couple of years now. For the new “special” issue, High Water, he once again gathers a diverse group of Kiwi comics creators to tackle a specific topic: Climate Change. Thematic anthologies are a tricky business, I imagine. Go too long and readers might suffer from theme fatigue; too short and you run the risk of seeming too narrow in your focus. High Water is kind of like the Baby Bear in whatever Goldilocks metaphor I might be constructing here. It's just right. Still, another problem inherent in gathering a bunch of creators together to interpret the same theme is that there arises the inevitable compulsion to compare each artist's interpretation with the others in the collection. It makes weaker contributions seem that much weaker, though it also pushes the truly original and inventive pieces to the fore. It takes careful stewardship to keep balance. Keen has done a pretty good job of this in High Water. Contributors to High Water include Chris Slane, Christian Pearce, Cory Mathis, Dylan Horrocks, Jonathan King, Katie O’Neill, Ned Wenlock, Ross Murray, Sarah Laing, Toby Morris, and Keen himself. It also features additional artwork by Lei Wen, Ant Sang, and an amazing cover by Tim Gibson. Each artist mostly focuses on the after effects of rising oceans due to climate change. In this future world of water, there is little left for humanity. What is left, though, is a blank page upon which to tell great stories. While the presentations range from visceral canticles of loss to finger wagging admonitions about the outcome of doing nothing to satirical takes on the root causes of the crisis, each piece still speaks to the core issue. If a change doesn't come soon, a change will be forced upon us. I'm not going to go into all the pieces in this anthology, but I do want to give a nod to a few that particularly stood out. 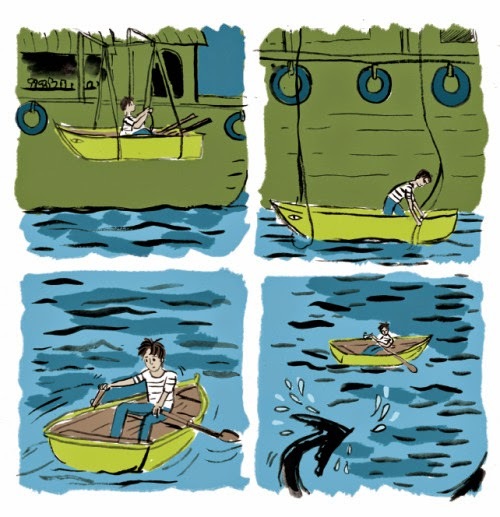 First is Sarah Laing's “After the Floods” – Laing's loose style, heavily inked and thickly colored, pulls a reader into a story about the hope that comes in the face of chaos. Pushed against it, the spirit survives and, in bleak times, we still find a way. There is a softness around the edges of this story that are result of its focus on character and possibility. Katie O’Neill's contribution, “Below the Waves” is far more elegiac in tone. Her manga-inspired static panels are weighted by her dark color palette. There is incredible silence in her pages, mournful in their beauty. Here, what has been lost due to our inaction is the focus, and is all the more palpable due to its inherent universal humanity. “The Lotus Eaters” is editor Damon Keen's own contribution to the anthology. Told in ten pages, nine of which consist of a three horizontal panel layout and one being a compelling splash page, this mostly wordless comic acts as a time line starting now and projecting far into the future. It, too, speaks of the devastation rising oceans will cause, but it also looks towards a strange kind of hope. In Keen's vision of the future, the world heals itself once it removes the toxic effect of humanity from its surface. Bleak and beautiful at the same time, “The Lotus Eaters” is as immense in its scope as it is quiet in its message. 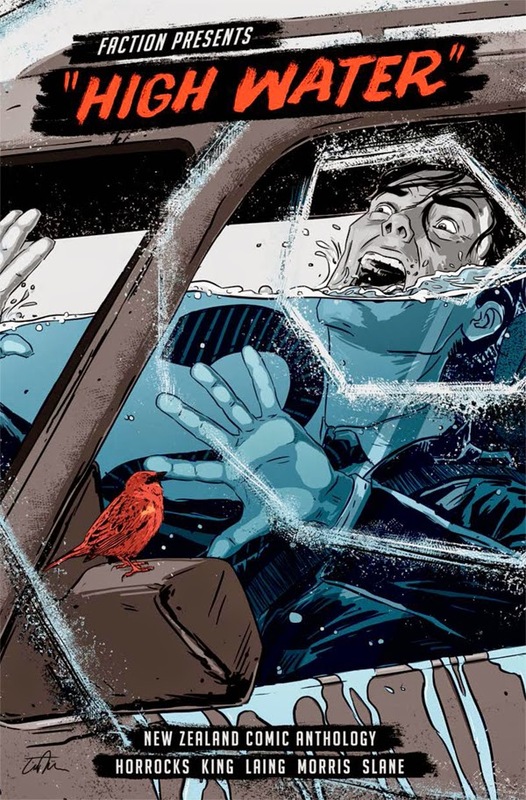 Finally, Ross Murray's four page story “High Water” is just an absolute thing of beauty. 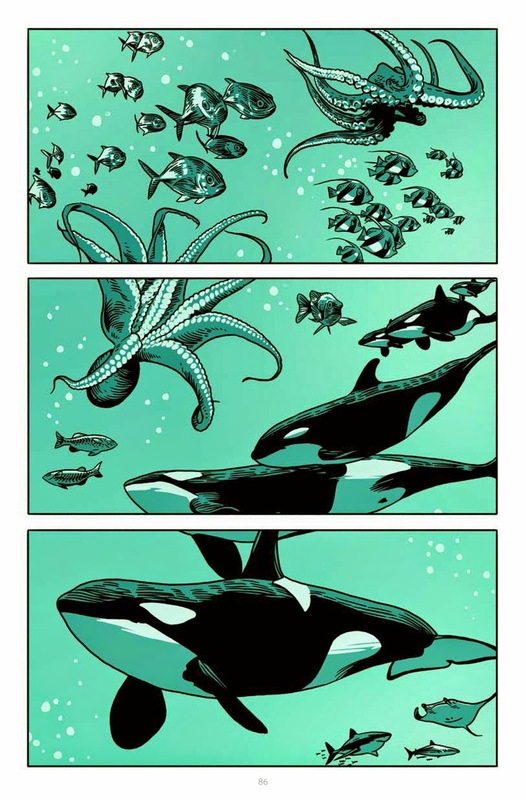 It, too, speaks of a future teeming with ocean life at the expense of humanity. Hushed, breathtaking in its draftsmanship, this piece may be the most striking in the collection. Its communicative power is sweeping and universal. Murray's work here should be shown to every climate change denier as a counterpoint to their madness. It's good to see an anthology like Faction doing these “special event” type publications. It's also great to see it getting political. 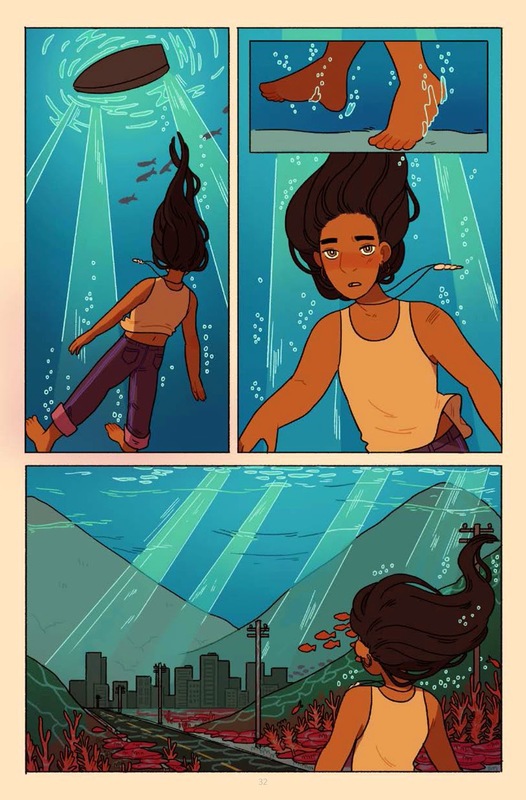 It's even better that this anthology allows Kiwi comics creators to reach a wider audience and continue to push the medium forward, accent its expansiveness, and focus its emotional gravity. Oh yea, there's an introduction by Lucy Lawless too!